Know Your Skin Type First of all it's important to know you're skin type so that you can select skin care products to suit you. Do you have normal skin, dry skin, dehydrated skin, oily skin, mature skin, or sensitive skin? Dry or Very Dry Skin Products with a high cream and oil content are beneficial. Avoid using soap and detergent based products on the face and neck as these can be drying. Oil-based face masks are soothing and hydrating fro dry skin. Dehydrated Skin Drink plenty of water to keep hydrated, aim for 2 litres per day. Oily Skin Cleansing and moisturising milks or lotions have a higher water content and a lighter consistency and are less likely to cause congestion. Be careful not to over exfoliate the skin as this can stimulate increased production of oil. Combination Skin Treat the different areas of the face with products specific to their needs. For example light formulation in the oilier T Zone area and richer creamier products in the dry areas. The skin will benefit from a hydrating mask on the cheeks and a deep cleansing mask on the forehead, nose and chin. 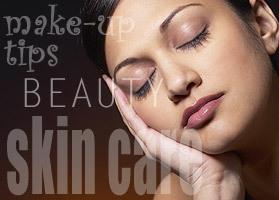 Mature Skin Care As with dry skin choose richer creamier oil based products. Skin may be thin or have broken capillaries so it should always be treated with great care and very little pressure. Firming and anti ageing products are highly beneficial, as are specific neck and eye care products. Sensitive Skin Tips Not only is sensitive skin more likely to react to product ingredients, but also the damaging effects of the sun can be felt more easily. It is advisable to use an SPF of 50. A gentle peeling product that doesn't contain granules is gentler on the skin than an exfoliating scrub. Now that we've looked at different skin types, what kind of facial therapy products are out there and what can they do for your skin? Facial Cleanser These remove make up leaving skin clean and free from impurities. Some cleansers are gentle enough to be used on the eye area but if you wear waterproof mascara you will require a specific eye makeup remover. Toning Lotion These remove traces of cleanser, refreshes the skin and has a temporary tightening effect upon the pores. Refreshes the skin and helps to restore the skin's PH. Moisturiser Often described as day creams or hydrating lotions, they nourish the skin to leave it soft and smooth. Oil and water emulsions attract water to the skin and prevent moisture loss by evaporation. Moisturiser should be applied to the skin after cleansing and toning. Some moisturising creams and lotions contain SPF and help protect the skin against environmental damage. Not only do moisturisers hydrate and condition the skin, they provide an excellent base for makeup application. Eye creams Eye Creams are specially designed to moisturise and protect the delicate skin around the eye. They often contain collagen, oils and vitamins and some contain light diffusing particles to help draw attention away from dark circles beneath the eyes. Neck Creams Neck moisturising and firming creams are more hydrating than ordinary moisturisers. In our 20s and 30s our usual moisturiser is usually sufficient to nourish the neck and décolletage, but by our 40s and beyond the neck often requires more intense hydration. The added benefits of collagen and elastin are believed to help prevent sagging and ageing thus maintaining a youthful appearance. Exfoliation Exfoliating products are creams or gels that contain small particles which gently scrub the skin to remove dead skin from the surface revealing fresh, new skin beneath. By loosening surface blockages they help improve and prevent breakouts and give a healthy glow to previously tired looking complexions. Exfoliators are a great way to even out a fading tan. Face Masks There are a variety of different formulations of face mask available that perform different actions. Facial masks are a relaxing and therapeutic part of a skin care routine. They increase circulation and improve the overall colour of the skin. A deep cleansing mask removes traces of trapped dirt, debris and oil. They're mildly exfoliating. Dry flaky areas of skin are replaced with soft, smooth skin. Toning and refining masks soothe tired skin. Skin is freshened and revitalised and pores appear smaller leaving a more refined complexion. Nourishing and hydrating masks contain soothing moisturising ingredients which hydrate the skin leaving it soft and smooth. They also soothe tired looking skin. Sun screens and sun blocks A facial sunscreen is an essential all year round beauty aid. Choose one with an SPF of at least 15. Even on dull days the suns rays penetrate the atmosphere and the damaging effects upon the skin accumulate gradually resulting in pigmentation and premature ageing. In more extreme circumstances, this can lead to sunburn and permanent scarring. Beauty Counter Direct provides a range of information and products for facial beauty treatment, make-up and cosmetics, skin care products, perfumes and fragrances at discount prices.